This fun-to-learn puzzle shows 30 different creatures that live beneath the waves. The puzzle is divided into 3 sections, each showing life at different ocean depths - the sunlight zone, the twilight zone and the midnight zone. So amongst the amazing creatures illustrated are a Leopard Shark, Giant Manta Ray, Vampire Squid and Blue Whale. 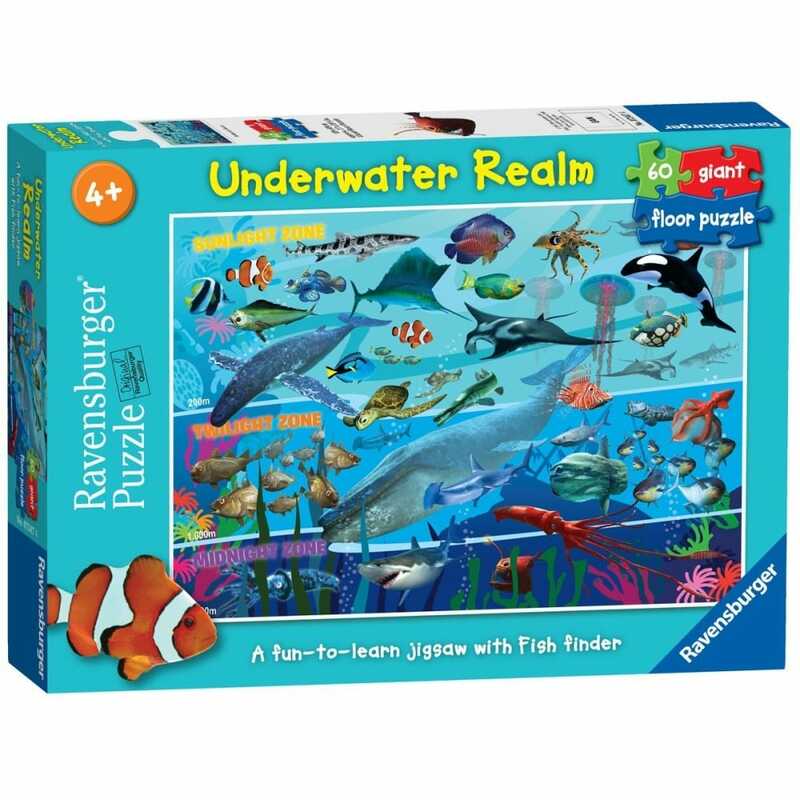 The puzzle comes with a "fish finder", an in-box leaflet so children can find and identify each of the amazing underwater creatures. High quality 60 piece cardboard jigsaw puzzle. The finished puzzle measures 70 x 50cm when complete. Suitable for ages 4 years and up. Made from strong premium grade cardboard, with linen finish print to minimise glare on puzzle image.